In the hour of return, which year is which? Mercury retrograde has begun, the Blue Moon is nearly upon us, and the calendar year is coming to an end... it's a bustling of energy moving around, and I've taken this past week to examine the vortex and the Wheel and my place in it (and around it). Last night's dream gave me deeper insight into something I hadn't realized was truly a deep-seeded issue. There was no glamour involved, simply the message, straightforward, and provocatively blunt. I admit I'm still slightly rattled in my core, but a rattling that the inner spirit hears and is taking hold of the rattle, now. The year is coming to an end, though I don't put much stock in 'relief' or 'excitement' that one ends and another begins, I'm fairly neutral when it comes to the calendar year in general. I feel the misalignment of communication luring around the corner. Not necessarily out of intention, but with Mercury turning retrograde once more before the end of this year it's a natural progression of this time, and in the shadow of the retrograde I am already noticing it. I'm a Witch. Openly out of the broom closet, I sometimes forget the road to coming out, and how others don't quite have the same blessings and opportunity many of us do have by being out. It can sometimes come at a price, with many judgments, pain, and loss. I think many of us forget that sometimes, I know I do. I've been a practicing Witch for over 13 years. 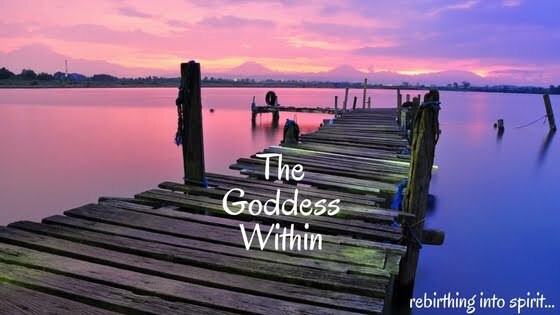 An awakening that felt so natural, so much like coming home, my life is so rich from this connection to Goddess, which has connected me to some amazing systers and brothers in the Craft. I'm one of those non-resolution makers. I don't make them. I plant seeds in the new year at Samhain, so come January's new year, I am already in the manifestation of my goals for the year. Also, with my birthday just a couple of days after the new year (January's, that is), I take a moment to refocus and shift what hasn't been working since Samhain as I focus on the year ahead -- my year ahead, vs the energy of this one day set up for whatever mindset we convince ourselves is fitting. The rumours of snow are true -- woke up this morning to see the ground covered and the flakes continuing to come down. I, personally, love snow. I love winter, especially the first real snowfall, the big one where everything looks like a sentimental postcard. I adore it. It's precisely the reason why I adore New England and prefer to call this area my home. I lived in California for a year as a child, and while the first month was exciting, when it came to the darker half of the year it was a complete disappointment, and I longed for the cold, for the snow, for the winters I had grown accustomed to as a child. I love those instrumental moments where clarity mixes with the muses and the canvas no longer feels like this immense, blank object standing before you... "It is green; it is aqua marine. It is colors I have never seen..."
Dream within a dream within a reality within the dance. December days are quick in their short hours, but I have been in renewal since the month began. As each day brings us closer to the light, each day the light shines a new gratitude, or renewed gratitude, that I has this sense of relief from its presence. It's still November, but a different November than the month originally started, or how I originally perceived it. One week has completely shifted the entire month, which has completely shifted my entire presence in this moment... in that moment... it feels so separate, yet circumstances have been oddly aligned, and my process through it has been in part shattered grief, in part redefined purpose. It's such a strange place to be, it loses identification even in memory. Back-tracking seems silly. Pointless even, but it serves its purpose, even now, to bring me back to the present moment, where I am still sitting in confusion, and loss. Last I wrote, I was going to Lama John's day-long retreat on Access our Best Inner Resources for Service and Social Action: Meditations of Natural Wisdom and Compassion. It was a long drive down to Northampton, the weather spirits dancing in mystery that I felt but wasn't willing to fully interpret. I'm really excited for the launching of Charter for Compassion and feeling hopeful that by the hundreds of people who have affirmed the charter and acts of compassion will generate a need and desire to cultivate compassion in our daily lives. I was the 610th person to pledge, and, at the time of this post, it is already in the 900s... amazing. In the suffrage of patriarchy we must return to compassionate ways of being, of not only sharing it outward, but instilling inwards, after all, you must first begin the healing process within yourself before it can be shared with others. We must learn to be compassionate towards ourselves. "Haunted by that same closed door..."
I can't seem to get "Planets of the Universe" by Stevie Nicks out of my head. I've been singing it to myself all morning, thinking about this past week and the developments (and non developments) that have occurred... the lyric "and the days go by" always pop into my head when I think of weeks like this. There's been a lot of processing in the dreamworld, in fact I was reading something about lightworkers at this time having "nightmares", and more and more people are confirming this. I admit to being one of those people who, despite being an avid journaler, I do not keep a dream journal. I will write it later in my actual BOS journal, but I don't keep a separate one or bother to write it down the moment I wake up. I've tried, it takes me out of the moment fast for some reason. I do tend to remember my dreams in detail, and as long as I keep the general theme in tact I'm ok with this process for now. Spells & ethics & the "within"
The past 2 months I've been reading various books, some for personal study, some for reviews, some for research, and the thing that has been surfacing a lot in these readings is about spell work. More than the spell work itself is something that has been not only perplexing me, but annoying me. There has been a great lack of explanation relative to spells. Like any sincere practicing Witch, you grow tired seeing spell book after spell book being published that has no substance, that lacks a common explanation about not only why certain ingredients are being used and their ultimate purpose, but when and how to do a spell. More importantly, why certain spells should not be done. Canada, here we come... almost. We're apparently going to Presque Isle on Monday. There's a lot to work out and we're both not entirely sure why Drac's mom actually has to go, but we're all going. We think she might have something up her sleeve, as she usually does, but she won't clue us in on what that is. I tried to do some research on Drac's brother, to see if we might be able to, somehow, miraculously find him when we're up there, which then got me thinking of his other brother that I have been wanting to find for him for quite some time, but that will take more patience and research on my end. Last night I was up later than I had intended (but not as late as my general hours of sleep tend to be), journaling and thinking about the "what next" in the scheme of things to accomplish around here, and I feel like things are moving fast, general time is moving fast. We "gained" an hour from daylight savings ending, but I feel like I gave up a couple of weeks for that one hour. Strange. The New Year is beginning with a cleanse of the old -- I went to bed early last night after much fun taking Nimue trick-or-treating and laughing at all the candy people kept giving her because of how cute she is. We didn't hit as many houses, she's still fairly young and it's all about dressing up, but my my did she do amazingly with chocolatly goodness. All in all a lot of fun, though the weather completely threw me off. Last year it was quite cold, briskly New England, yesterday it was in the 70s... warm. Warm on Halloween? Brought back memories of the one year I spent in California as a kid. It's not supposed to be that warm on Halloween!